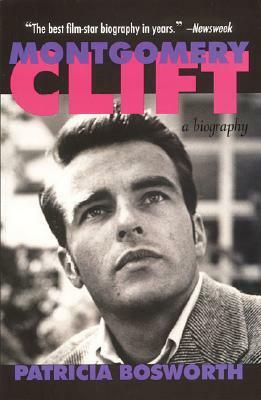 With “Montgomery Clift: A Biography,” I have to remember that I’m reviewing the book, not the subject. His behavior off-screen was sometimes angelic, sometimes deplorable. In Clift’s case, it wasn’t ego or fame that made him so enigmatic, it was his mother. Sunny Clift was the illegitimate product of two different high-society bloodlines, neither of whom acknowledged her. To the headstrong woman, this was unconscionable, and she refused to accept it. So, in addition to her constant pestering of these two families, she decreed that her children should be raised in a manner suitable to American royalty. The kids–Monty, his twin sister, Ethel, and older brother, Brooks–were hauled all over Europe and the swankier parts of the US. Ed Clift–Monty’s father–had a good job, which allowed this expensive charade to continue. “You’re THOROUGHBREDS,” Sunny used to tell her children, instilling in them a sort of snobbery. Monty was special, though. He was beautiful, sensitive, intelligent, and talented. As a teen, he started modeling and acting on Broadway. His theater career blossomed through his 20’s, until he finally went to Hollywood. Throughout his life, Sunny was a domineering presence, a meddlesome stage-mother writ large. Even when he was a highly paid Broadway star, Sunny still insisted he live in the family’s Park Avenue apartment. She evaluated–and disapproved of–all of Monty’s friends, dates, associates, etc. “They’re beneath you!” she said. With this insanity as his base, how could Clift NOT be a nut? He was also tormented by his sexuality. Clift was homosexual in an era when homosexuality was just not something you wanted to be caught in, not in the post-war years. Even today, it takes guts for an actor or actress to “come out” as being gay. This seems ridiculous to me, but that’s still the way of things. Being gay in 1950, though, was a career’s death sentence. Monty had relationships with women–even sexual in nature–but they were hollow and unsatisfying. His most-positive relationships with women were as best-friends or surrogate mothers, and in his mind, he identified as gay. Montgomery Clift was ashamed of being homosexual. That’s one contributory factor. Substance abuse was another. For years as an adult, Monty didn’t drink at all–nothing alcoholic. When that changed, it changed big time. He became notorious for some of his riotous binges. He also carried enough pills with him to stock a small pharmacy. Uppers, downers, tranquilizers, muscle relaxers–he had them all. He was plagued by insomnia, and some nights the only way he could sleep was by drinking a quart of Scotch and popping pills. It’s a miracle he lived as long as he did. One night, Elizabeth Taylor–one of Clift’s best friends since they made “A Place in The Sun” together–was throwing a dinner party. Monty was exhausted from the film he was working on at the time. He didn’t drink during the party, and excused himself early. He got a friend to drive ahead of him down the winding, treacherous hilly road from Ms. Taylor’s house to Sunset Blvd. He followed his friend, then lost control of his car and smashed into a tree. The car was destroyed. So was Monty’s face. The friend raced back to Taylor’s home and had her call for an ambulance. She went to the scene, and cradled Clift’s bloody pulp of a face in her lap. At one point, he started choking. She reached into his mouth, and pulled two of his front teeth out of his throat, thus saving his life. The rehabilitation process was slow. Clift’s jaw was wired shut, and he had other wounds sutured, fractures set, etc. He also suffered incredible pain. This led to incredible dependence on pain-killers, an addiction that would plague him the rest of his life. He made it back to the big screen, and he could still act. His offscreen life went into a tailspin. By the end, this once-handsome, hugely talented screen legend was living as a recluse, shooting himself full of Dilaudid, drinking, taking pills, and mainly just watching TV. Clift had and lost numerous friends over the years. His mother was always there. That’s like 1975 Keith Richards telling you that you have a drug problem. Author Patricia Bosworth has done a good job with this biography. She neither scolds her subject when he’s bad, nor beatifies him when he’s good. The greatest thing she does is show how hard he worked on his films. He didn’t just memorize lines and deliver them. He’d spend late night hours revising his lines, changing them so they made more sense, getting inside his character. He clashed with some directors and fellow actors over this habit. In one case, the daily script changes Monty wrote and fought for led to a Best Screenplay Oscar for the original writer, the writer whose work Clift had to change every night. Montgomery Clift was certainly not a perfect human. I think he was a perfect storm, though, of a talented kid, raised in an unconventional way by a domineering snob of a woman, who refused ever to let go of him. Did this warp him? No doubt. Did it help bring forth his inner-genius? It sure looks that way. You have to wonder, though, whether there couldn’t have been some less-destructive way to reveal and polish the gem within.